Does anyone know what the new acronym, B.O.A.R.T.F.B. means? I am guessing not because I just invented it a minute ago. B.O.A.R.T.F.B. stands for Boyle’s Old Age Retirement Tax-Free Benefit. You can pronounce it “BOART FeeBee” to show how hip you are with cutting-edge acronyms. So when I think back my first recollection of a presidential election was in 1952. One of the candidates was Five-star general, General Dwight D. Eisenhower. His campaign badges read, “I like Ike.” He was running against Adlai Stevenson. Ike won and ended up holding two terms. Adlai might have won if he had a better shoe repairman like Alex down at Ardesson’s Shoe Repair in Lakewood. What I learned from watching this presidential race and those that followed is that in America, anyone can become president. I always knew this principle, and I had a lot of trust in the concept, but now really believe it. President Donald Trump became our 45th president on January 20, 2017. There are three distinct publicly held positions when it comes to how citizens feel about Trump. Some citizens are highly dedicated supporters of Trump. Some citizens are highly dedicated haters of Trump. Some citizens are highly dedicated pragmatists when it comes to Trump. A pragmatist is neither for or against Trump, but they like what he does concerning changing conditions in America. Here is how B.O.A.R.T.F.B. works. First, let us admit it. Because of our current economic success and low unemployment, business and government are experiencing a difficult time finding qualified workers to fill the many job openings available today. Combine that with the fact that demographics show our population is aging. The number of Americans ages 65 and older is projected to more than double from 46 million today to over 98 million by 2060, and the 65-and-older age group’s share of the total population will rise to nearly 24 percent from 15 percent. A great many citizens retire when they reach any of the ages near 65. Guys like me are just sitting around retired while prospective employers have posted all kinds of Help Wanted signs. I know personally, I can shuffle past a stack of employment applications and not even flinch. What we need is an incentive for retired citizens to tempt them into returning to work. I started working at age 10 and did not stop working for another 60 years. 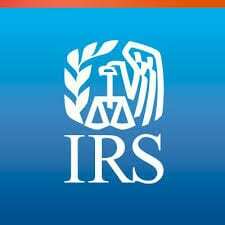 Starting in about 1959, I began paying taxes and continued doing so for 54 years. Now I am 75, retired, and not using any of my work skills for any productive employment purpose. Okay, here is my innovative idea. President Trump, who does everything differently anyway, has or thinks he has the power to develop a brand new program we will call B.O.A.R.T.F.B. How it works is this. Citizens age 65 and older who have all paid enough income taxes in their previous work life, will be given the incentive of being able to return to work part or full time. The first $75,000 they earn will be income tax-free. Hey, remember they have paid enough income tax. Sure they will get tax free income, but these old retired people are not paying income tax anyway because they are not working. B.O.A.R.T.F.B is a no-lose proposition. Employers will be happy because they can gain experienced employees. The tax-free earners will take a lot, if not all of their tax-free money and pump it into our economy paying sales taxes and creating more jobs as they spend. No, we will not mess with their social security and other retirement plans to avoid making B.O.A.R.T.F.B. complicated and avoiding any disincentive for old people to leave their TV and return to work. This is a win-win no-lose proposition. I don’t Tweet, but if you do and if you like my idea, send a Tweet to President Trump. Couch the concept in terms that will make him feel like it his idea. That approach is likely to be successful with any narcissistic president. So, bottom line. Anyone can become president. And because our president is a wild card, my “put ancient people back to work” idea may pan out. I do not want to appear narcissistic myself, but naming President Trumps new program B.O.A.R.T.F.B., pronounced “BOART Fee Bee” which stands for Boyle’s Old Age Retirement Tax-Free Benefit might be a good idea in case the concept works as well as the wall on the Mexican border. If there is trouble with the plan, President Trump can blame me and fire me. Sure! Why not? If I am going to work tax-free, I might as well start with a cushy job in the White House. Joe, you wrote this with your usual humor so it’s hard to tell how serious you are, but this is a pretty darn good idea! And the timing is perfect – my wife just took a two-week contract job that we’d certainly rather not pay taxes on…. Thank you for sharing your thoughts. Your 6th sense is close to reality. I try to do a lot with humor. When I retired on April Fool’s Day 2013 comedy became a part of what I call Chapter III of my life. If I can write something in a Westside Story and readers smile, chuckle, laugh, experience a knee slapper or fall out of their chair laughing, I will have met my goal. I will even settle for a guffaw.. When I create laughter for the reader, I consider the laugh a gift from me to my reader. I learned in high school that creating laughter is a way of gaining positive attention. I like hearing, “You are funny, Joe.” Lastly, I like using humor because it is a great way to cover up my lack of intellectual depth. When the laughter dies down, many of my articles are designed to leave the reader with something serious to think about. There was a time in America when citizens earned money without any exposure to income tax or estate tax allowing families to accumulate great self-sufficient estates. We could kill income tax for retired citizens. What it will take is someone other than Joe Boyle making the suggestion and once made putting political power and influence behind it. I just thought I would do what I could to jumpstart the conversation. Joe, I know you’re old. I know you’re retired (except, perhaps, for this gig for the Suburban Times). But if you stopped paying income taxes when you stopped getting paychecks, I’m going to have to report you. Once our dedicated IRS workers are allowed to return to work and have taken care of their backlog, I’ll sic ‘em on you! Yes, it’s true that some folks have no sources of income outside of their jobs, but those of us who plan for the future save some of each paycheck and invest it, whether in CDs, money market funds, stocks and bonds, or Trump Tower. The intent is not only to have money reserved and set aside — for our retirement, sending our kids to college, travel, splurging on that waterfront summer home — but also to make that earned money grow, by collecting dividends and interest enough to more than outpace inflation. And that income, as you know, is taxable. The feds have graciously given us a small break that helps some folks ease into retirement by reducing their hours substantially, without also reducing their Social Security benefit. I think your idea of offering tax-free income to seniors willing to return to work might be an incentive for some, but it doesn’t tempt me, and I doubt it would tempt you, either. You’d have to give up your “office hours” at your favorite coffee shops, shooting the breeze with fascinating people. You might have to work alongside dull people, doing work that is boring. And remember who else is a senior (not sure about the “citizen” part). You want to give him a tax break? Give me a break! Besides, taxes are necessary. They pay for all kinds of services (that are, for the time being, unavailable due to the shutdown).